This year redefine your valentine’s day with a hint of adventure and nature at Rhythm resort in Lonavala. Whether you and your partner have been together for a lifetime or just have met each other a little while ago, Rhythm has some exciting and adventurous fun activities to make your Valentine’s Day absolutely unforgettable. Apart from this, Rhythm resort in Lonavala is offering a variety of other amenities like a spa, health club, swimming pool, corner store, children games room, the library etc. No matter which activity you and your beau decide to do, you’ll both have the best time—because you’re spending the day with each other. 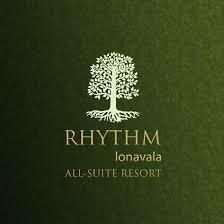 Rhythm is a beautiful resort in Lonavala for couples. The team here takes great pride in the quality of service offered to guests. Be it the lip-smacking food or the personalized service by the dedicated staff, meticulous attention is paid on every detail to make sure guests have a memorable experience. Moreover, this resort is only 2 hours drive from Mumbai at Tungarli on the old Mumbai–Pune highway. So just pack your bags and hit the road with your partner and actually live the ‘love is in the air’ quote all for real.